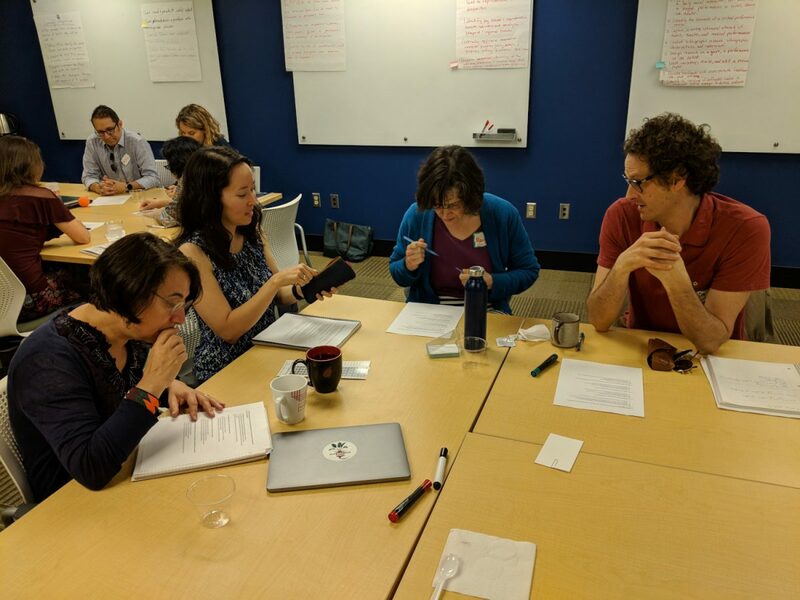 Applications are now being accepted for Duke Learning Innovation’s Active Learning Faculty Fellowship, running from Summer to Fall 2019. Participating faculty are eligible to receive a total of $1,100 deposited to a Duke University research account when they complete the four parts of the program. The purpose of this Fellowship is to help faculty deepen learning and increase student motivation for all students in their classrooms by using active learning techniques proven successful at Duke and elsewhere. 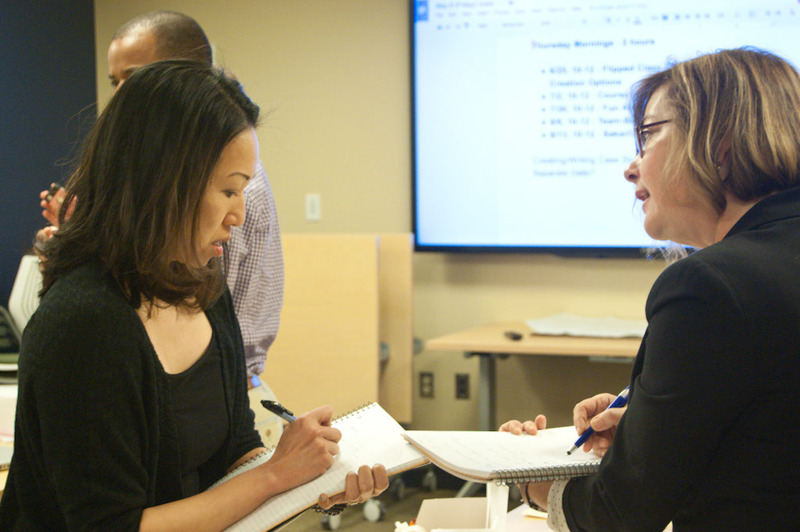 Participants will share teaching experiences with other faculty and practice with ideas from the pedagogical literature to help them redesign activities in a Fall 2019 or Spring 2020 course. 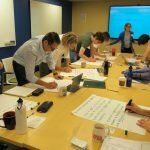 Read about the 2018 Active Learning Fellows participants. 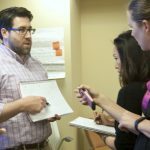 Learn about the experiences of previous Duke Learning Innovation Faculty Fellows using active learning techniques in their own classes. To find out more about active learning, see the Duke Learning Innovation’s basic introduction to active learning techniques, Vanderbilt’s Center for Teaching guide to active learning, and evidence that active learning is effective. Duke Learning Innovation consultants Andrea Novicki, Seth Anderson, Randy A. Riddle, along with other consultants and guests, are coordinating and supporting the Fellowship. Guests from Learning Innovation or Duke faculty participants from previous Fellowship programs may also take part, depending on the needs and interests of the participants. The Fellowship will consist of four parts. Fellows who complete the Kick-Off Week, Summer – Fall Roundtables and Visit a Classroom portions of the Fellowship are eligible to receive $1,000 deposited to a Duke research account. Faculty who complete a blog post about their experience will receive an additional $100 deposited to the account. The Kick-Off Week will consist of five meetings from 11:00 am to 2:00 pm daily, Monday – Friday, May 6 – 10, 2019. During the week, faculty will exchange ideas with colleagues and learn about methods and techniques for activities used successfully in Duke courses. A total of five two-hour Roundtable sessions will be scheduled by the Fellows as a group, based on the schedules and availability of the participants. The sessions will be held periodically through the summer and with a limited number in the Fall. Participants will develop their syllabus and teaching materials throughout the summer, based on the activities of the Kick-Off Week. Roundtable meetings will be planned by participants to investigate topics from the Kick-Off Week in more depth, try out teaching techniques, and get feedback from other faculty on their plans for the Fall. During the Fall, faculty in the program will visit two classes taught by other participants in the program to reflect on their own teaching and share ideas. In support of Learning Innovation’s goal to encourage wide use of active learning in all majors and courses, this program is designed for and priority is given to faculty who teach undergraduates in Trinity, Pratt, Nicholas, or Sanford. However, other faculty may also apply. Graduate students are not eligible for this program, but may contact the Graduate School for similar professional development opportunities. Applications are due Friday, March 8, by 5:00 pm. Applicants will be notified Monday, March 18 on the status of their application. If you have any questions about the program, please contact Duke Learning Innovation.